The Permanent Secretary for Higher and Tertiary Education, Science and Technology Development (MoHTESTD), Professor Francis Gudyanga, carried out a familiarization tour at Africa University’s Main Campus in Mutare on July 27. 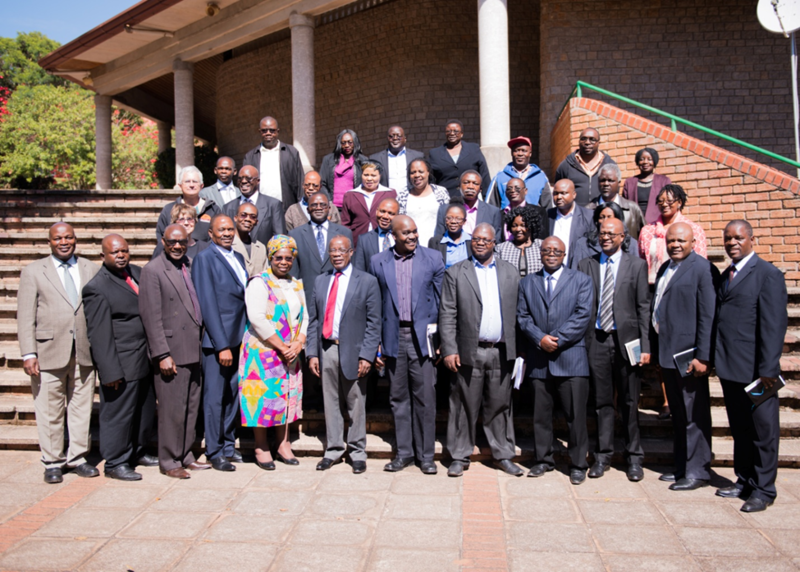 Professor Gudyanga is currently touring the country’s Higher Education institutions in an effort to gauge pertinent challenges confronting the sector and how to seize existing opportunities. 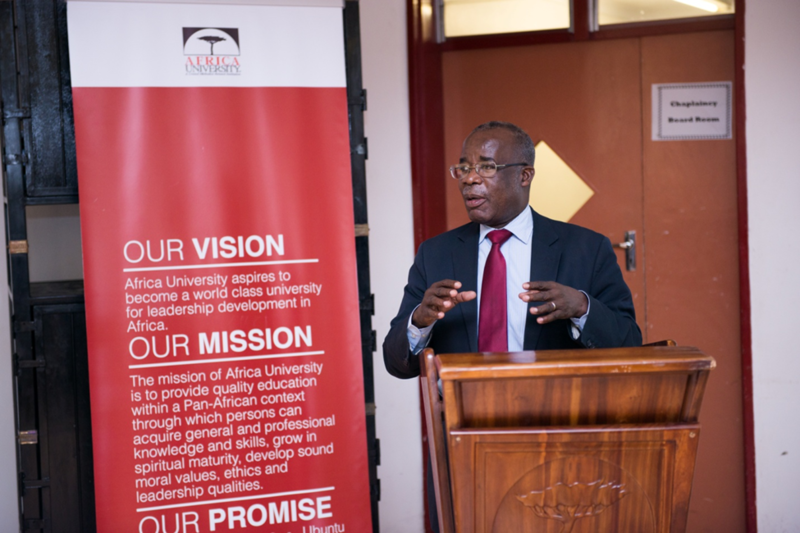 While touring the facilities available to students and the caliber of the personnel empowering Africa’s next generation, Prof. Gudyanga was impressed by the direction that Africa University is headed, particularly in the STEM related disciplines. After learning of the future plans of the University to establish Colleges in Engineering, Medicine as well as Science and Technology, Prof. Gudyanga expressed confidence that the University will continue to grow. Currently, Africa University (AU) boasts of three strategic colleges namely; College of Health, Agriculture and Natural Sciences (CHANS), College of Business, Peace, Leadership and Governance (CBPLG) and the College of Social Sciences, Theology, Humanities and Education (CSSTHE). The various departments that have been set up in the CHANS departments carry a strong bias towards STEM related programmes. Africa University Vice Chancellor, Professor Munashe Furursa, was commended for his commitment, envisaging and hard work, which has been the foundation of increased research, upgraded educational infrastructure and transforming the University in becoming a hub for innovation and creativity. Recently, Prof. Furusa was appointed to serve on the MoHTESTD Taskforce. The Taskforce was established to see to the successful implementation of sustainable Science, Technology, Engineering and Math (STEM) models and concepts into the curricula of the country’s higher education sector. Permanent Secretary Professor Gudyanga during a familiarization visit to Africa University. Africa University is a committed partner with the Government of Zimbabwe in the implementation and advocacy of STEM in Zimbabwe and Africa. STEM education is an interdisciplinary approach to learning where rigorous academic concepts are coupled with real-world lessons as students apply science, technology, engineering, and mathematics in contexts that make connections between school, community, work, and the global enterprise enabling the development of STEM literacy and with it the ability to compete in the new economy.